Parking at Lalbagh Botanical Gardens will set you back a bit with the introduction of smart parking system. 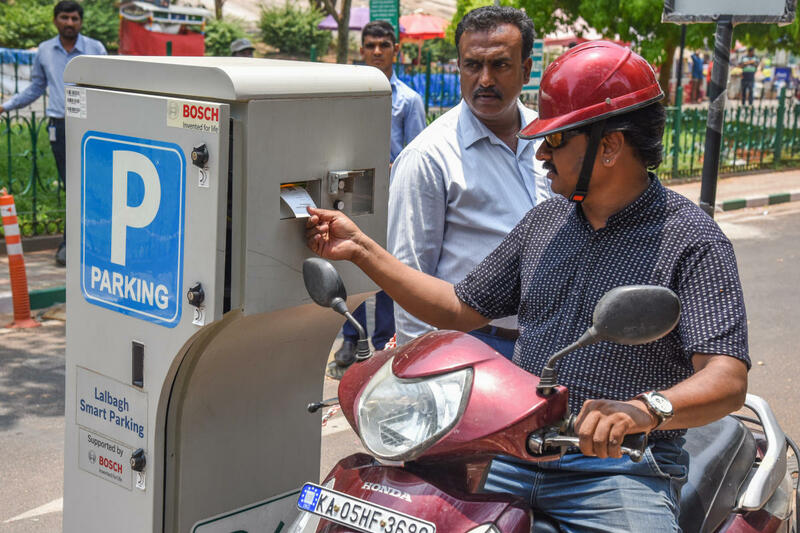 The Horticulture Department on Thursday introduced the smart parking facility at the main entrance (Double Road gate) of Lalbagh, towards H M Marigowda Hall. With this, a one-time entrance parking ticket for a two-wheeler will be Rs 25 for three hours, with the owner being charged Rs 5 more for every additional hour parked. Similarly, visitors coming by cars will have to pay Rs 30 for the first three hours and Rs 10 for every additional hour. The smart parking is only for vehicle entry. People will have to buy entry tickets to visit the park. Also, from April 15, citizens will have to pay 8% GST on the total bill amount. Which means a two-wheeler user will have to pay Rs 25 for his bike, Rs 20 as entry ticket and 8% GST. M V Venkatesh, director, Horticulture Department, told DH that the idea behind the new facility was to organise parking and restrict those who use Lalbagh's parking space for the entire day and work at other places. “The trial run began on Thursday; full-fledged operations will start from April 15,” he said. He said that with smart parking, the department would be able to differentiate between real visitors and the ones who use the space only for parking on a daily basis. The mechanism is computerised, like the ones at commercial complexes. The department also aims to discourage people from using personal mode of transport. “We are working on introducing incentives to all those who come to Lalbagh through public transport like Metro or buses. It will be introduced after the elections,” Venkatesh said. Chandrashekhar M R, deputy director, Lalbagh, said that entry will be free for morning walkers and school buses on picnic. The smart parking will be in place from 9 am to 6 pm. The department is also planning to introduce slabs for full-day parking like Rs 50-Rs 80 for two-wheelers, and Rs 80-Rs 100 for cars. The smart parking system has been designed by Bosch at a cost of Rs 3 crore.